The Jawun Board consists of some of the leading Australian minds in the corporate, government, Indigenous and philanthropic sectors. Karyn has led a distinguished business career in Australia and Internationally, having held a range of senior management and C-suite executive roles in multinational businesses including Director of Organisational Renewal at Optus (2004 – 2008), Group Executive Sales and Marketing at Insurance Australia Group (2002 – 2004) and Senior Vice President The Americas at Qantas Airways (1998 – 2001). Karyn was appointed Jawun CEO in April 2009. In this role Karyn works with many of Australia’s leading Indigenous reformers. In February 2013 she was appointed to the Grocon Board. Prior to this she held a number of Executive and Non-Executive Director roles, including Executive Director experience in the insurance industry; and has over 5 years Non-Executive Director experience with not-for-profit organisations, CARE Australia and Cure Cancer. In 2015 Karyn was awarded The Australian Financial Review and Westpac 100 Women of Influence Award in Diversity. Karyn is also a current member of Chief Executive Women (CEW) and Australian Institute of Company Directors (AICD). Ilana Atlas is Chairman of Coca-Cola Amatil Limited and a non-executive director of ANZ Banking Group Limited and OneMarket Limited. She is Chairman of Jawun and on the Board of the Paul Ramsay Foundation. Ilana is also a Fellow of the Senate of Sydney University and a Panel Member of Adara Partners. Her last executive role was Group Executive, People, at Westpac, where she was responsible for human resources, corporate affairs and sustainability. Prior to that role, she was Group Secretary and General Counsel. Before her 10 year career at Westpac, Ilana was a partner in law firm Mallesons Stephen Jaques (now known as King & Wood Mallesons). In addition to her practice in corporate law, she held a number of management roles in the firm including Executive Partner, People and Information, and Managing Partner. Tony Berg graduated from the University of Sydney with an Honours degree in Economics, and received an MBA with High Distinction from the Harvard Graduate School of Management. Between 1970 and 1972 he worked on Wall Street, and in 1972 joined Hill Samuel Australia becoming Managing Director in 1984. When Hill Samuel became Macquarie Bank in 1985, he was appointed its first Managing Director and CEO. 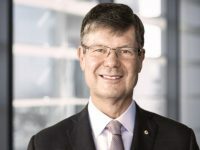 In 1994 Mr Berg was appointed Managing Director and CEO of Boral Limited, and joined Gresham Partners as an executive director when he retired in 2000 having split Boral into Boral (the building materials company) and Origin Energy. Mr Berg is a director of Jawun – Indigenous Corporate Partnerships and of The Ethics Centre. He was a Board member of the National Gallery of Australia for six years and remains a director of The National Gallery of Australia Foundation which he chaired for 7 years. He was a Council member of the Australia Council. He was Chair of the Advisory Council of the Australian School of Business at the University of NSW and a member of the UNSW Foundation. He was the director of Musica Viva Australia for 17 years and Chairman for 12. He was chair of the Corporate Governance Committee of the AICD. Mr Berg has been director of Westfield and Chairman of ING Australia and ING Australia Bank. Ewen is a non-executive director of Westpac Banking Corporation and BlueScope Steel Limited. He is a member of the Commonwealth Remuneration Tribunal and a board member of Sydney Symphony Orchestra. Ewen was a partner at Allens from 1988 to 2013 where he was one of Australia’s leading M&A lawyers. His roles at Allens include Chairman of Partners (2009-2012), Co-Head Mergers & Acquisitions (2004-2010), Executive Partner, Asian Offices (1999-2004), and Deputy Managing Partner (1993-1996), as well as 11 years’ service on that firm’s board. He is now a Consultant to Allens. Ewen was a member of the Takeovers Panel from 2010 to 2015. He a Fellow of the Australian Institute of Company Directors, a member of the AICD’s Law Committee, and a member of the Corporations Committee of the Law Council of Australia. Rupert Myer is a Director of AMCIL Ltd, Healthscope Ltd, eCargo Holdings Ltd and The Myer Family Investments Pty Ltd. 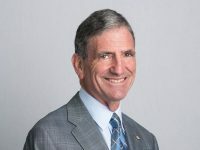 He serves as a member of the Felton Bequests’ Committee and as a board member of the University of Melbourne Faculty of Business and Economics Advisory Board. Rupert holds a Bachelor of Commerce (Honours) degree from the University of Melbourne and a Master of Arts from the University of Cambridge. Rupert was made an Officer of the Order of Australia in 2015 for distinguished service to the visual and performing arts. Rachel is a film and television director, producer and screenwriter. She is a director of Australia’s premier Indigenous production company, Blackfella Films, which she founded in 1992. Blackfella Films recent productions include First Contact and the drama series Deep Water. 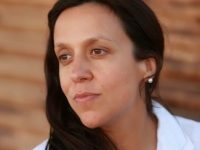 Informed by her Aboriginal heritage (Arrernte/Kalkadoon), Rachel has contributed extensively to the development of Indigenous filmmakers in Australia and, more broadly, to the Australian film and television industry. Among Rachel’s directing achievements is the First Australians documentary series, and four feature films: Radiance, One Night the Moon, the musical Bran Nue Dae and most recently Jasper Jones and in television, the series Redfern Now and telemovie Mabo. Rachel has served on the boards of Commonwealth agencies including the Australian Film Commission, Screen Australia and the Australian Film, Television and Radio School. She was also a founding director of the National Indigenous Television service. She currently serves on the councils of the Australian Institute of Aboriginal and Torres Strait Islander Studies and the Australian Heritage Commission and chairs an education fund named after her renowned Aboriginal activist father, the Charles Perkins Trust. Finn Pratt has a public service career spanning 35 years and during this time he has driven many government priorities. As Secretary of the Department of the Environment and Energy, he is responsible for delivering energy market reform, environmental policy priorities such as biodiversity conservation and protecting the Great Barrier Reef, implementing a national response to climate change and building Australia’s Antarctic capabilities. Finn was appointed Secretary of the Department of the Environment and Energy in September 2017. Before this appointment, he held other senior positions including Secretary of the Department of Social Services (2013-2017), Secretary of the Department of Families, Housing, Community Services and Indigenous Affairs (2011-2013), Secretary of the Department of Human Services (2009-2011) and Chief Executive Officer of Centrelink (2008-2009). In these roles, he has been responsible for setting the strategic and corporate directions of each Department and its portfolio and providing policy advice to the portfolio Ministers and Assistant Ministers. He is a member of the Jawun Board and was the Chair of the Australia and New Zealand School of Government (ANZSOG) from 2014 to 2017. Finn was awarded a Public Service Medal in 2008 and in 2015 became an Officer of the Order of Australia for distinguished service in public administration, social policy development and service delivery reform, and improving support for people with disability, their families and carers. Finn has a Bachelor of Arts degree from the Australian National University. Anthony is a partner of The Boston Consulting Group (BCG), heading their Public Sector Practice in Asia Pacific, and part of their global leadership team for Social Impact. He has worked across the private sector and government in Australia and overseas, covering areas such as infrastructure, communications, transport, energy, health, social services and education. Anthony has been involved with Indigenous development since 2003 when he spent a year working in Cape York with Indigenous organisations, and on the national strategy for Jawun (then known as IEP). Prior to BCG, Anthony was a lawyer with Minter Ellison in Australia and Europe. He holds Law and Economics degrees from Adelaide University, and a Masters of Law from Oxford University (First Class) where he was a Rhodes Scholar. Natalie has over 16 years’ experience across small business, government, not for profit, and corporate sectors in various management and non-executive roles. Natalie has tackled every role with her entrepreneurial spirit. Her latest venture – Inside Policy – is a national collaboration of policy wonks, political operatives, and technical geeks who love making the world a better place by designing new solutions to old and complex policy challenges. Prior to founding Inside Policy, Natalie established Supply Nation. She also led the Aboriginal Employment Strategy and built KPMG’s Indigenous business stream within its government advisory group. Natalie sits on various boards including National Australia Bank’s Indigenous Advisory Board and the Board of Australian Indigenous Leadership Centre. Natalie is also Chair of the Cape York Girl Academy; the country’s first Indigenous-led and owned boarding school for young Indigenous mums and their bubs. In 2012, Natalie was named as one of Australia’s 100 Women of Influence. Gary was elected CEO of KPMG Australia on 1 July 2013. As CEO, he sets the firm’s strategic direction, oversees its operation and presides over the principal management body, the National Executive Committee. Gary joined another Big 4 firm in South Africa in 1988 and spent four years as an auditor, before moving into Corporate Finance. He relocated to Australia in 1994 and joined KPMG’s Corporate Finance practice in 1997. Admitted as a partner of KPMG in 2000, Gary led the Melbourne and later the National Valuations team of the firm until 2007. In recent years, he has held leadership roles as National Head of Corporate Finance, National Managing Partner of Financial Advisory Services and National Managing Partner of Advisory. He was appointed to lead the firm’s Advisory practice in July 2009 following the merger of the firm’s Financial Advisory Services and Risk Advisory Services practices. Gary’s area of client expertise includes public fairness opinions on merger and acquisition transactions; valuations of businesses, shares and intangible assets and general corporate advice related to transactions. His clients have included some of Australia’s largest corporates such as National Australia Bank, Wesfarmers, Westpac, General Motors Holden and BHP Billiton. Ann is CEO of Carnival Australia, a division of Carnival Corporation, the world’s largest cruise ship operator which owns P&O Cruises, Princess Cruises, Cunard, Holland America, Seabourn and others. She has transformed the industry and growth has been double digit each year since 2007. Prior to this, Ann was with Westpac for 12 years and was Chief Executive Officer, Westpac New Zealand, CEO, Bank of Melbourne and Group Executive, People and Performance. Before joining Westpac, Ann was First Assistant Secretary of the Office of the Status of Women in Canberra, advising the Prime Minister on policies and programs to improve the status of women and was Australia’s representative to the United Nations forums on human rights and women’s rights. 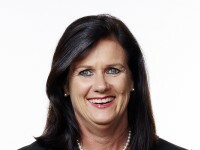 In addition to her executive role, Ann holds a number of non‐executive roles including ING Direct (Australia), The Myer Family Company Holdings Pty Ltd and Australian Rugby Union. Ann is the Chair of Safe Work Australia and Deputy Chair of Cruise Lines International Asia Pacific. In 2001, Ann was awarded a Centenary Medal for her work on providing banking services to disadvantaged communities. 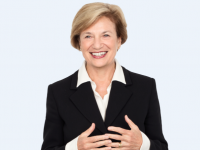 In 2004, Ann was awarded an Order of Australia for her contribution to the Australian community through the promotion of corporate management policies and practices that embrace gender equity, social justice and work and family partnerships. In 2011, Ann was listed in the FTSE 100 Women in Leadership. In 2013, she was awarded an Honorary Doctor of Letters by Macquarie University for her contribution to business and civil society. Colin is an Advisor to Jawun, having served on the board since the organisation’s inception. He chaired the board between 2005 and 2009. 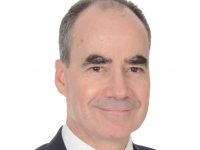 Colin is one of the founding partners of The Boston Consulting Group (BCG) in Australia. His consulting career included carrying out board performance reviews for companies and not-for-profits and he has co-authored a book on boards, Back to the Drawing Board, published by the Harvard Business School Press. Colin was previously a director of the Cape York Institute for Policy & Leadership. In early 2010 he was appointed by the Prime Minister to be an advocate for greater Indigenous employment in the corporate sector. In 2014, he was appointed by the Prime Minister’s department as an adviser to the Empowered Communities project. He is currently a non-executive director of two Australian public companies – SEEK and Lend Lease – as well as of World Vision Australia and the Ladder Project (the AFL Players’ project tackling youth homelessness). He is also chairman of the Geelong Football Club and a former AFL Commissioner. Now retired from BCG, he now holds a part-time role as Senior Advisor to that firm. Colin has a Bachelor of Commerce degree from Melbourne University and an MBA from Harvard Business School, where he graduated with Distinction and as a Baker Scholar.